Sometimes people send me stuff so that I’ll try it and maybe talk about it on the site. It’s not a guarantee that I’ll talk about it, in fact most of the time I don’t but sometimes I really like it. The Surface Pro is a good example. They sent me one of those and I can’t stop talking about the damn thing. Well I got something else cool the other day and I wanted to share it with you guys. 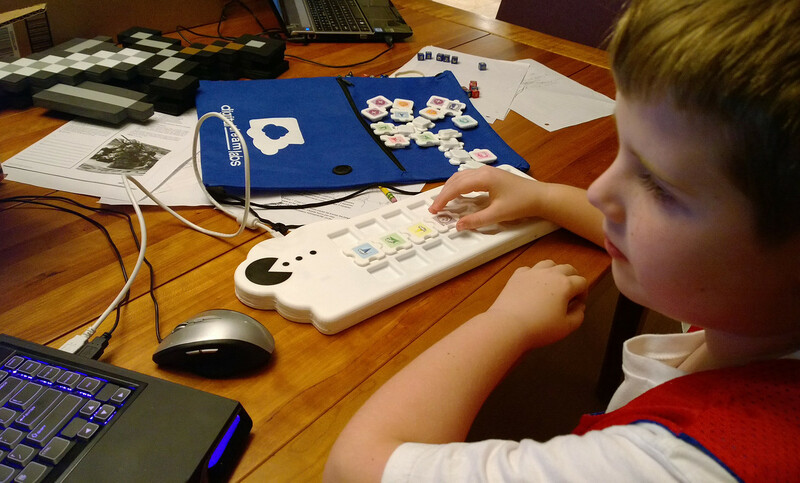 The folks making the Discover Cloud Board sent me one to test out with my son and we tried it over the weekend. It is a board that you plug into your computer or sync with a tablet. You insert these little puzzle blocks into it to build solutions to puzzles on the screen. 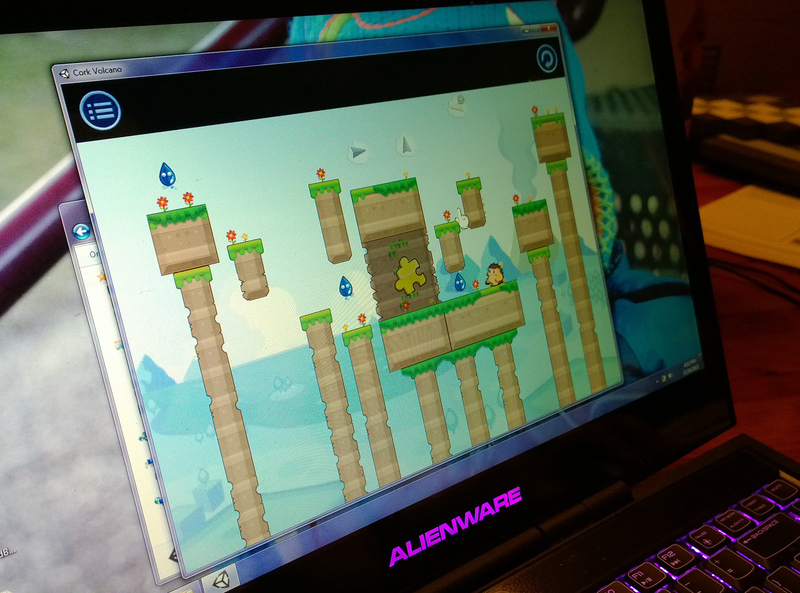 The various blocks will make your character on the screen take different actions. For example there are blocks to make your guy run right, left or jump. These blocks are placed in the middle row. Other blocks modify these actions by making them slow down or repeat and these blocks are placed in the top and bottom rows. Building a string of these blocks is sort of like writing a little program for your character. Back when I was in Junior High we had a real simple computer lab with a bunch of Apple II machines. The only thing they taught us was a little “game” called LOGO that was really just a programming language. You would type in commands like FWD 10 and then a little triangle on the screen would move up and leave a line 10 whatevers long behind it. Eventually we would write out these super long strings of commands with turns and return to centers and all kinds of crazy stuff and then execute it and the triangle would draw a truck or something. Anyway this reminds me a lot of that concept. Essentially tricking kids into learning some math and simple programming skills. My son Gabe is nine and he really liked it. The game starts out pretty simple by telling you what blocks to place where. It’s teaching you how to play but he picked up on it pretty quick and got a little bored by the tutorial. It wasn’t long before the game opened up though and gave you the freedom to start designing your own solutions to the puzzles. He really got into it at this point and was having a ton of fun. To be honest I even had a good time figuring out some of the puzzles when Gabe would get stuck. I think it’s a great idea and a really cool learning tool for kids. They are running a Kickstarter right now and they are a long way from their goal. 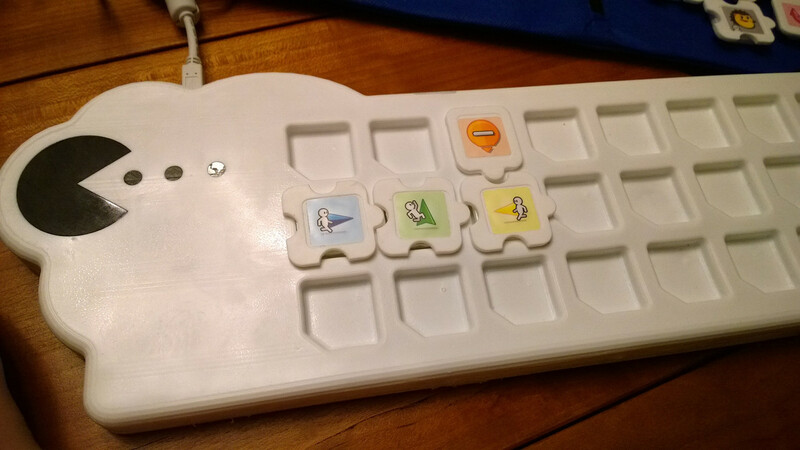 If you have kids who like playing on the computer I highly recommend the Cloudboard. Or maybe you’re an elementary school teacher and this would be an awesome tool for your classroom. Thanks to the Digital Dream Labs folks for sending me and my son a prototype. I hope you are super successful!